Last minute dinner guests, no problem. This ingredient list is sure to wow your guests, plus the scallops can be made in no time on the barbecue. 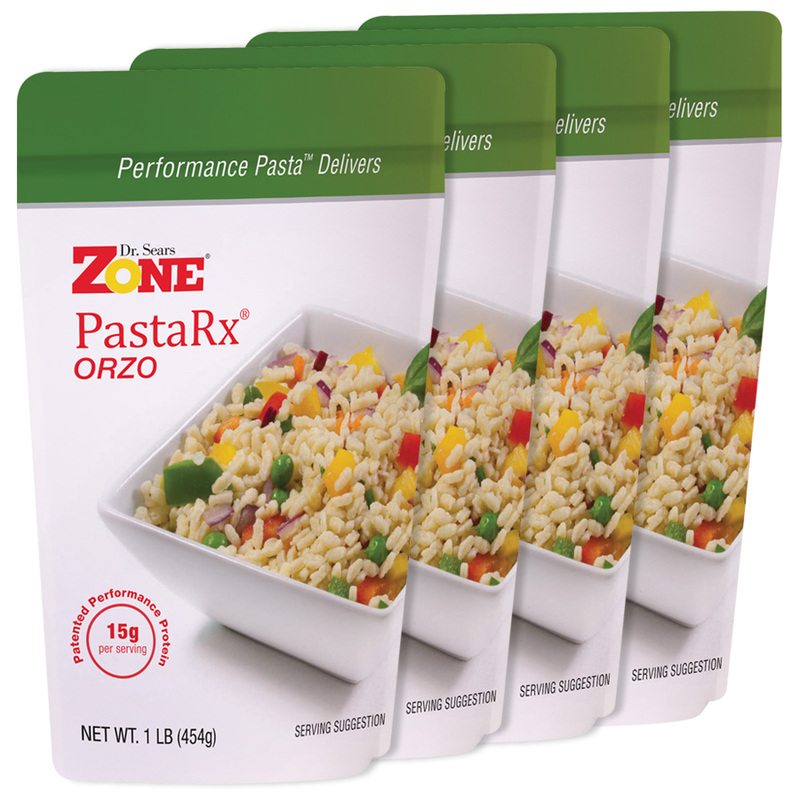 Prepare the Zone PastaRx Orzo according to package directions with the addition of garlic and sage. Drain the orzo in a colander and remove the garlic and sage. Meanwhile, wash scallops and pat dry with paper towel. Heat 1/2 teaspoon of olive oil on med hi heat, add garlic, crushed red pepper and a couple of pieces of onions cook for 5 minutes. Add scallops and sear for 1-2 minutes until browned turn and heat until opaque, don’t over cook. Place mushrooms and onion on skewers. Lightly spray the kebabs with olive oil Pam. Cook on a hot barbecue for about 7-10 minutes, turning until they’re cooked through or sauté them in a small skillet until cooked through, opaque in color. 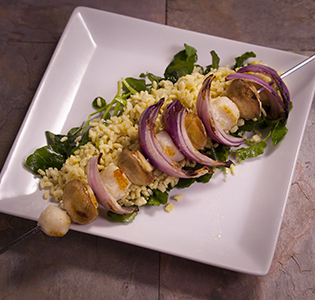 Serve the scallops and veggies on bed of orzo and watercress dressed with lemon juice and a 1 tsp drizzle of extra virgin olive oil, salt and pepper.